We were all packed and on the road by 10:30, which is really pretty good for us! We really liked our apartment in Zagreb. it was not very big but it had everything we needed for our stay and the location was fantastic, within walking distance to everything! If you are curious you can check out this Airbnb link. We had a four hour drive to our next destination, the town of Pula, in the area of Croatia known as Istria: Zagreb is in Central Croatia. 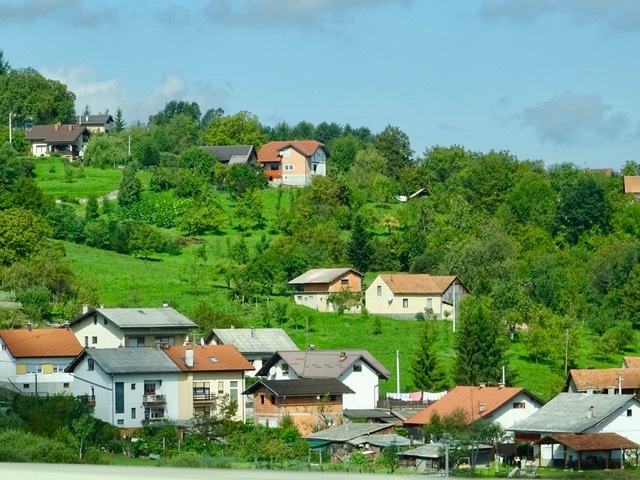 This is one of the first views we had of Croatian homes in the countryside as we left Zagreb. 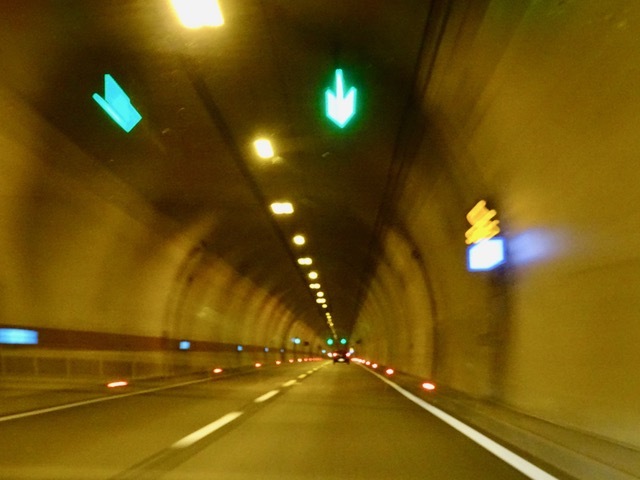 We drove through about 25 tunnels on the toll highway between Zagreb and Pula. It cost 138 Kuna in tolls, $27.60 Can. but it saved us more than three more hours of driving. The tunnels were pretty amazing. The longest one was 5,062 meters, over five kilometres long! …and there were several more that were over 1,000 to 2,000 meters long. 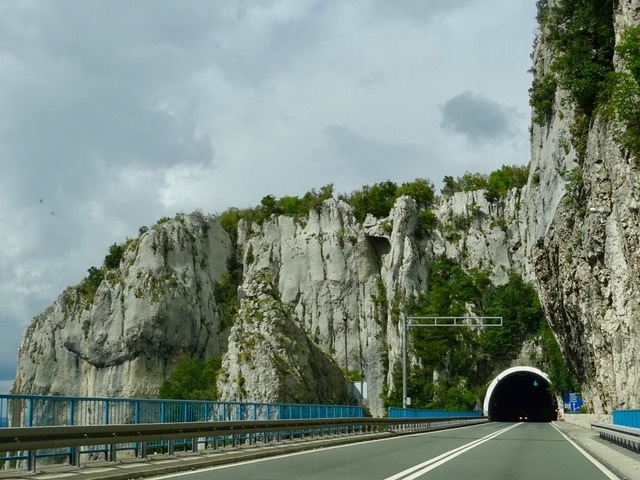 This entry was posted in Airbnb, Croatia, Vacation, Zagreb and tagged Croatia, Pula, Toll Rods, Tunnels, Vacation, Zagreb by Trudy. Bookmark the permalink.